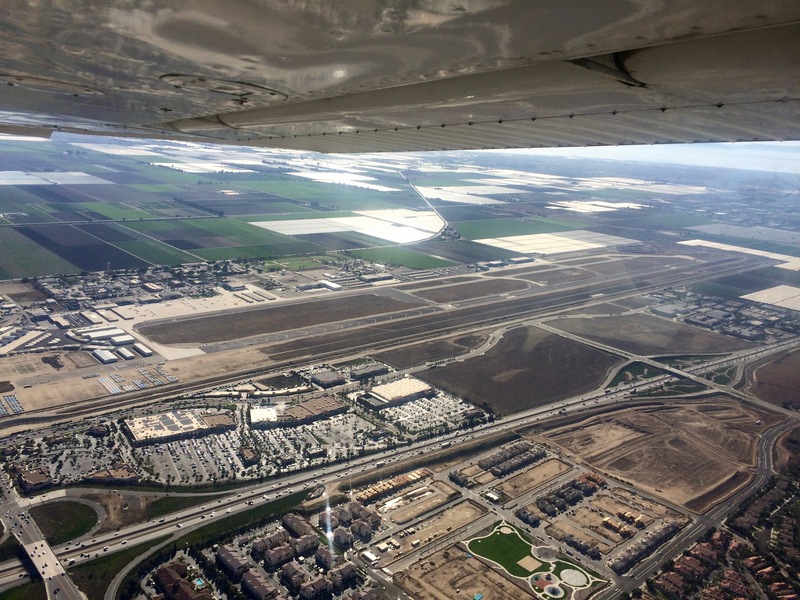 Today I flew to the Camarillo airport (CMA) for the first time. Here is the complete track. 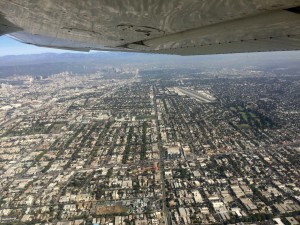 I started at El Monte (EMT) and flew to Santa Monica (SMO), picked up Manuel, and then flew to Camarillo (CMA). Manuel flew us back to SMO, and I flew myself back to EMT. When we departed SMO, I got a “line up and wait.” This is when you get onto the runway and sit there, waiting to be actually cleared to take off. This is like someone telling you, “Get on the freeway and then stop there until I say go.” Kind of nerve-wracking, but it is supposed to be a more efficient way to move traffic along. I’d been warned that CMA can get busy. And wow, it was! When we switched over to join the CMA tower frequency (about 10 miles out), the controller was going a mile a minute. Before we could get a word in edgewise, another pilot called in requesting clearance to land (N216RG). 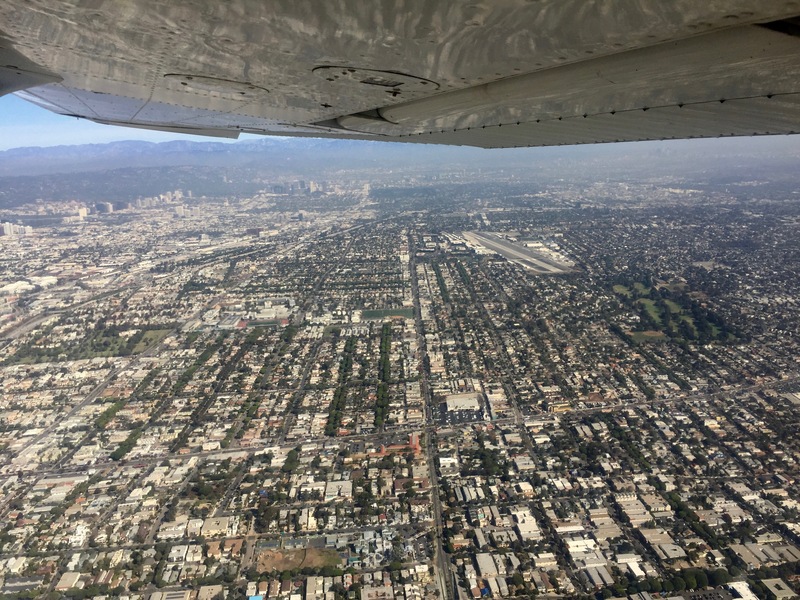 The controller told her that he was too busy and for her to remain outside the CMA airspace. When we called in, he allowed us in and told us to report a 4-mile final at 1500′. Being given an assigned altitude on final was new to me, but okay, I can do that. I think we were allowed in because we’d requested flight following in advance, so we were “in the system”. Or, maybe we were in a better location for him to accommodate us. The other pilot called in a couple more times but the controller kept telling her to circle outside the airspace. He even suggested that she go to Oxnard. She said, “But I’m going to Camarillo.” He said, “I know, but we’re just saturated here, if you’re short on fuel then go to Oxnard, or try again in five minutes or so.” Poor 216RG! I don’t know why she got the short end of the stick! Meanwhile, two planes were on downwind and turning base for runway 26 as we were doing our straight-in approach. At first I couldn’t see either of them visually, although I could see them on my GPS screen (yay ADS-B). The controller worked to get them separated, and then we reported “4 miles out, 1500.” He then told us to stay at 1500′ (pattern altitude is 877′) and fly straight over the airport, reporting when we were over the numbers (landing threshold). So we’re flying in and watching this busy drama unfold underneath and around us. When we were over the numbers, the controller thanked us for our patience and told us we could turn left, descend to pattern altitude, and follow a different plane that was on final below and behind us. I guess that’s what you do when there are too many planes coming in – stash one (us) above the airport and fit it in later! That was definitely the strangest (geometry-wise) approach to landing I’ve ever done. As we were landing, the controller finally let 216RG come in. CMA has many nice features. I noticed this one while doing my flight prep, which includes examining the airport with Google Maps’s satellite view (click to enlarge). Check it out! 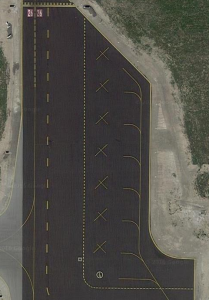 It’s a painted runup area with little stations for each plane and a dashed line to keep them out of the way of passing traffic! It’s BRILLIANT! The runway itself is a generous 6000′ long, and it clearly used to be longer. 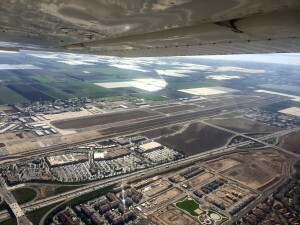 According to Wikipedia, prior to 1970 it was the Oxnard Air Force Base and had an 8000′ runway. CMA has a lot of transient parking, so it was easy to find a good spot. It also has a very nice restaurant (the Waypoint Cafe) which features a tiny mock airport outside, complete with tower, rotating beacon, runway, and helipads! After lunch, we started up again. 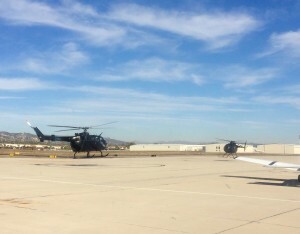 Before we could leave, two helicopters came in and landed in front of us. They faced each other and slowly eased down, synchronized. Very cool! Departing was rather challenging. We lined up and sat at the runway threshold for quite some time while several planes came in to land and a helicopter departed. It was like when you get stuck at an intersection and then the railroad lights start flashing and the bars go down and you know you’re going to have to sit through several cycles before you can move. Finally we got to depart. 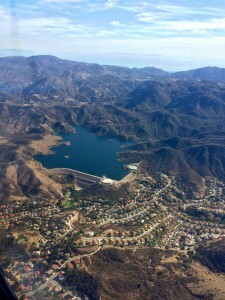 We were grateful to get off that frequency and switch to SoCal for flight following! The flight back was uneventful and scenic. 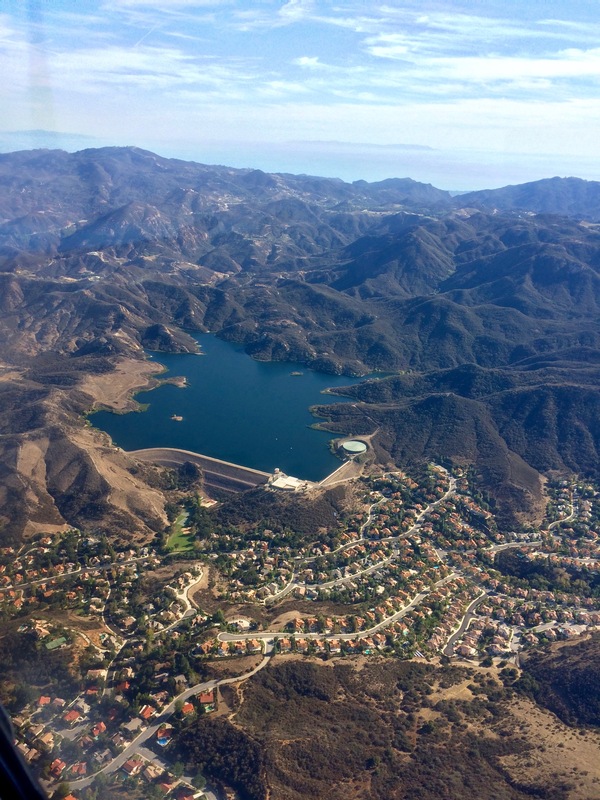 The southern California coast is a delight to fly along (but watch for those mountains).